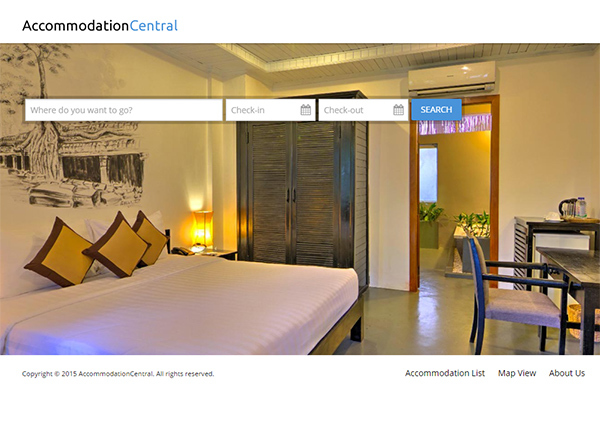 AccommodationCentral is a portal bringing together a wide selection of accommodations in 138 destinations and 40 countries. It is different to most accommodation portals in that we connect travellers directly to the accommodations, so they can book with them on the accommodation website. The AccommodationCentral portal is one of a family of portals we are launching around the world to boost direct bookings to accommodations using the Hotel Link Solutions platform. Accommodations range from tiny one room thatched huts in village homestays in the middle of the Pacific like Santa Faustina Homestay, through to boutique hotels like La Residence Blanc D’Angkor in Cambodia and large independent hotels like the Trans Resort in Bali. The AccommodationCentral portal, in common with all the other portals in the network, is powered by Hotel Link Solutions which provides the booking and distribution systems all these properties use to run their businesses.